Just about all people eat chocolate but I am sure you were unaware of a few of the facts about it given below. So, here are a few amusing and astonishing facts about chocolate to amuse you. Mexican Emperor Montezuma partook a Chocolate drink before entering his harem. This gave rise to the notion of Chocolate having aphrodisiac properties. 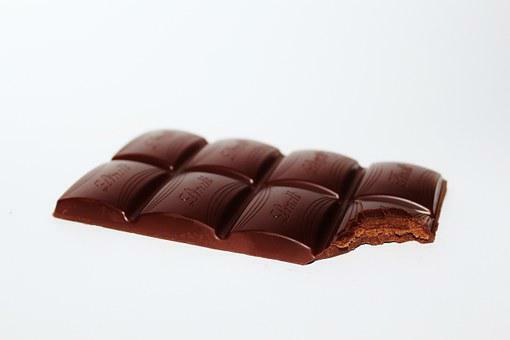 The word’Chocolate’ comes from the word,’cacahuatl’ or’xocolatl’. The literal meaning is ‘bitter water’. Cocoa was spelled cacao originally, but became cOcOA as a result of misspelling. Cocoa Trees require warm, moist climates. Thus these trees are mostly found in West Africa – Ghana, the Ivory Coast and Nigeria. Chocolate syrup was used for blood in the famous shower scene in Alfred Hitchcock’s movie,”Psycho”. This scene, which is of 45 seconds, reportedly took 7 days to shoot. Chocolate can be deadly for dogs. Chocolate includes a component called”Theobromine” which can be toxic to a dogs central nervous system and cardiac muscles and can lead to death. Cocoa Beans were first brought to Europe by the Spanish Conquistadors in 1528. Henri Nestle of Switzerland was the first to create Milk Chocolate by adding condensed milk to the mix when making chocolate bars. The oldest known culture of the Americas (1500 – 400 B.C. ), The Olmecs, were likely the earliest users of cacao. In the 17th Century, the first recorded instance of”Death by Chocolate” happened. It helps with depression, high blood pressure, Tumors and Pre-menstrual syndromes. Aztec Indians believed chocolate to be an aphrodisiac. Aphrodisiac can be any substance which is assumed to increase sexual desire.